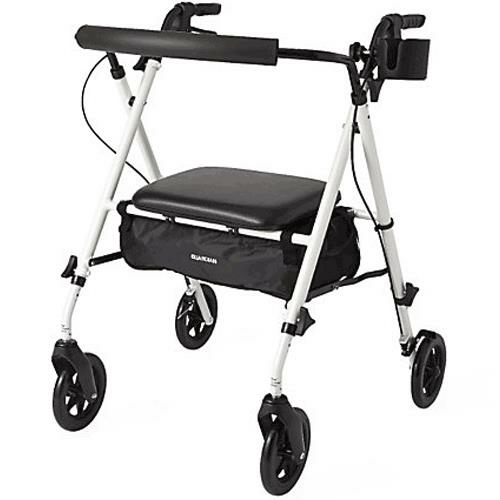 Guardian Luxe Rollator With Extra-Wide Seat comes with height adjustability on the handles as well as the seat for a customizable fit. It has loop-style brakes which push down to lock and pull up to release. The nylon bag under the seat is water resistant and features a convenient shoulder strap. Engineered with design features that solve specific problems for the user. The comfort of an extra-wide seat in a Luxe Rollator that still maintains a lightweight design. Limited lifetime warranty on frame and 6 months on parts.